A sentinel on the waterfront of Montreal. But the building is mute and observes. And hearkens back to Dickensian times. With the soot and rain of life in the city. Through which pass the events of history. But the wood bears the scars of wagons poorly maneuvered. Of the wood and brick. A meagre mouthful for the hungry families. You can see the signs of former residents. Bringing the news to thousands of Montrealers. On the top floor and you are startled by a reflection. And a spectre appears behind the panes. From his office and apartment above the presses. Formed by the newspaper’s walls. When Canada and The Standard were new. Its history both ancient and new. Arguing the desirability of a union, a confederation. And told of the death of a mighty monarch, la reine Victoria. Only to weep at the start of the next one. The poor in its aftermath. For yet another committee to decide its fate. And O’Toole vanishes from the window. The breeze dies and the Frankish rantings subside. The presses have stopped and are long gone. 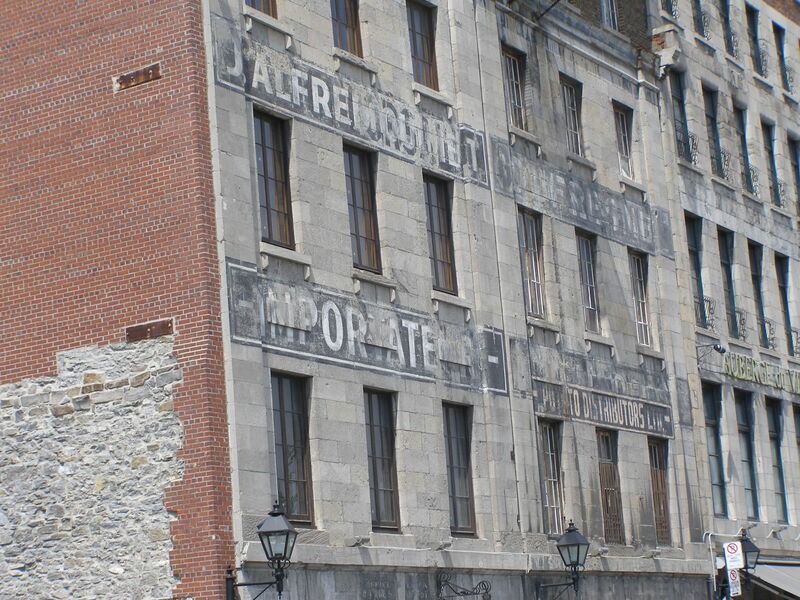 Fading history clings tightly to the crumbling facade on Montreal’s river front. 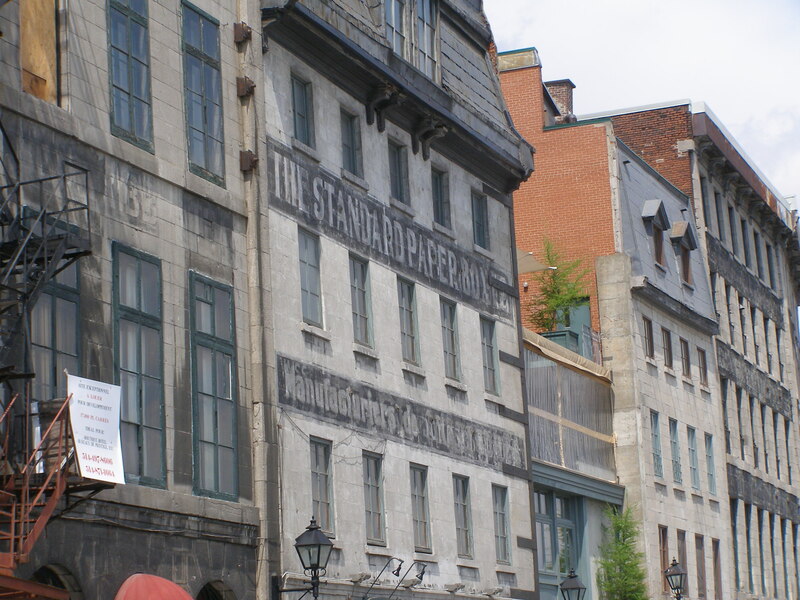 With the passage of time, Montreal’s history fades into dust. This entry was posted in Poetry and tagged Canada, confederation, French Canadian, history, illusion, mirage, Montreal, poem, poetry, travel, vision. Bookmark the permalink.